2. General-Purpose Mainframe and minicomputer era (1959-present): The introduction and continued use of mainframes. Mainframes were the first powerful computers that could provide time sharing, multi tasking, and virtual memory, and became powerful enough to support thousands of remote terminals. 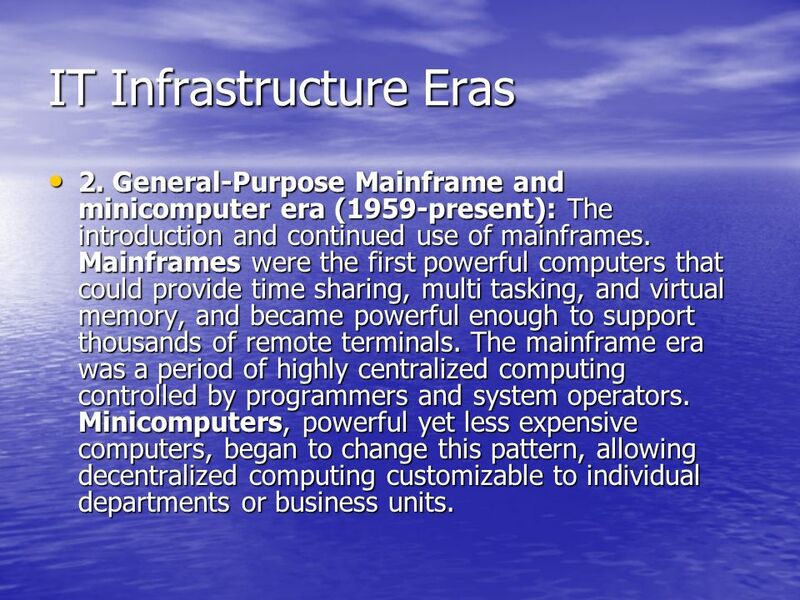 The mainframe era was a period of highly centralized computing controlled by programmers and system operators. Minicomputers, powerful yet less expensive computers, began to change this pattern, allowing decentralized computing customizable to individual departments or business units. 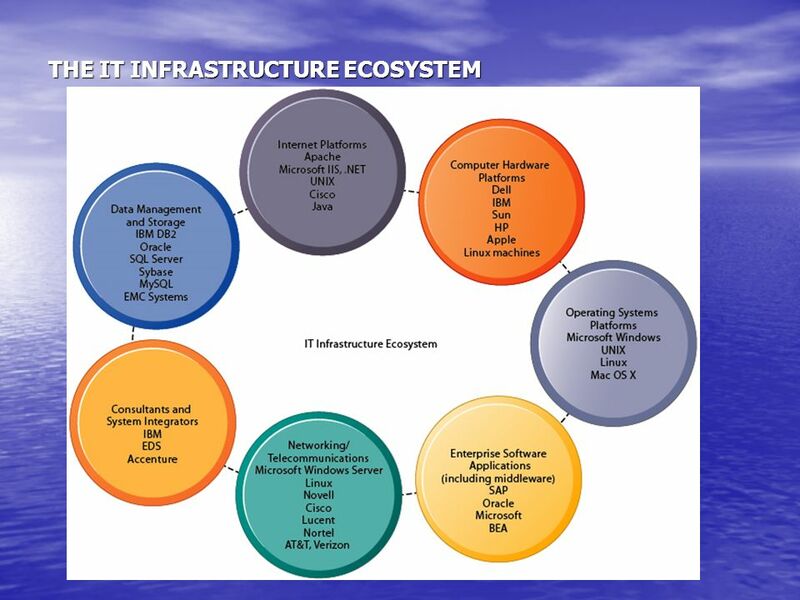 6 IT Infrastructure 3. Personal computer era (1981-present): The appearance of the IBM PC in 1981 is usually considered the beginning of the PC era because this machine was the first to be widely adopted by American businesses. 95 percent of today's 1 billion computers are Wintel PCs, using Windows software and Intel microprocessors. 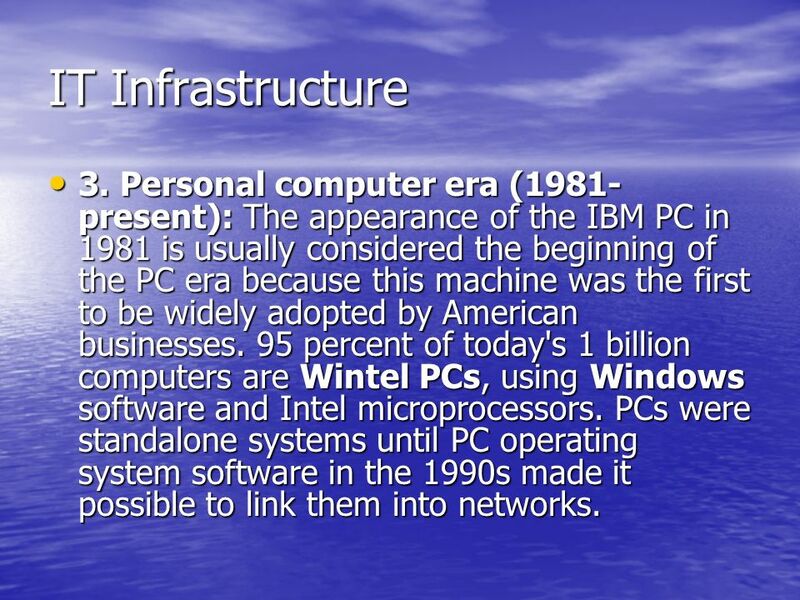 PCs were standalone systems until PC operating system software in the 1990s made it possible to link them into networks. 7 IT Infrastructure 4. 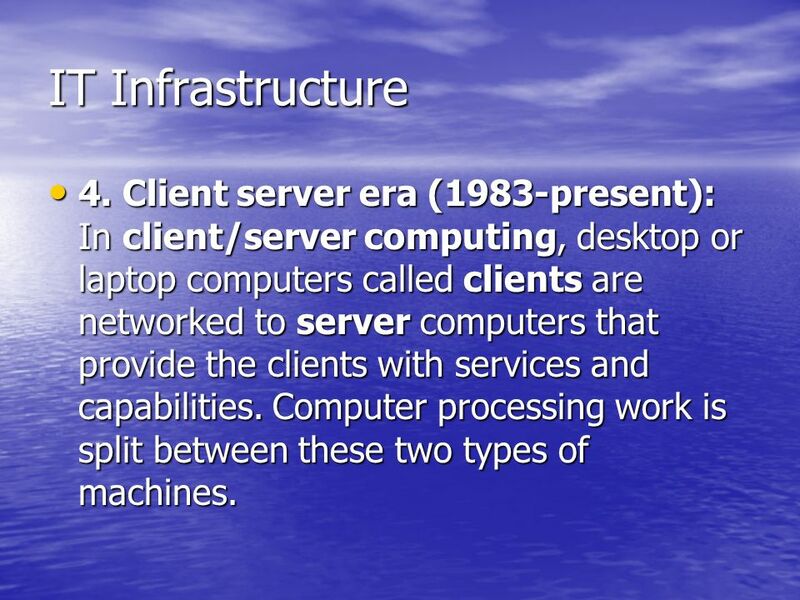 Client server era (1983-present): In client/server computing, desktop or laptop computers called clients are networked to server computers that provide the clients with services and capabilities. Computer processing work is split between these two types of machines. 8 IT Infrastructure The client is the user point of entry, whereas the server typically processes and stores shared data, serves up Web pages, or manages network activities. 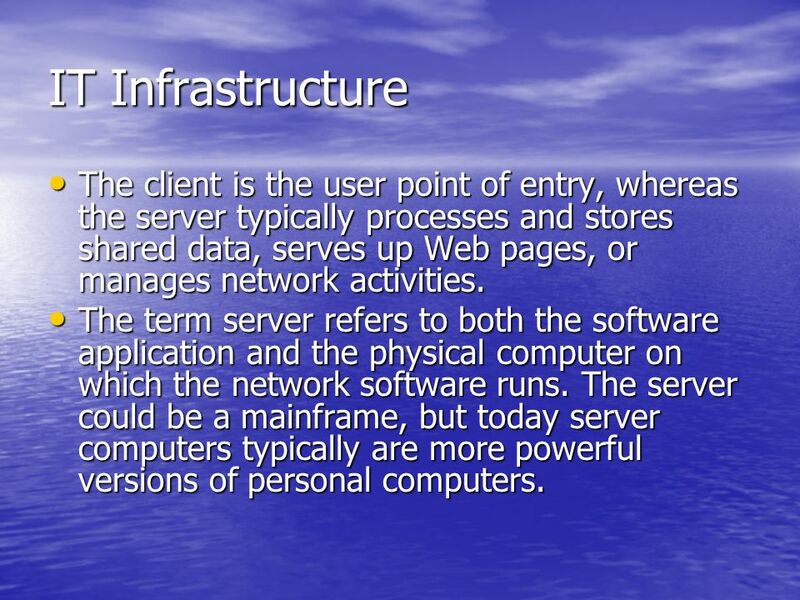 The term server refers to both the software application and the physical computer on which the network software runs. The server could be a mainframe, but today server computers typically are more powerful versions of personal computers. 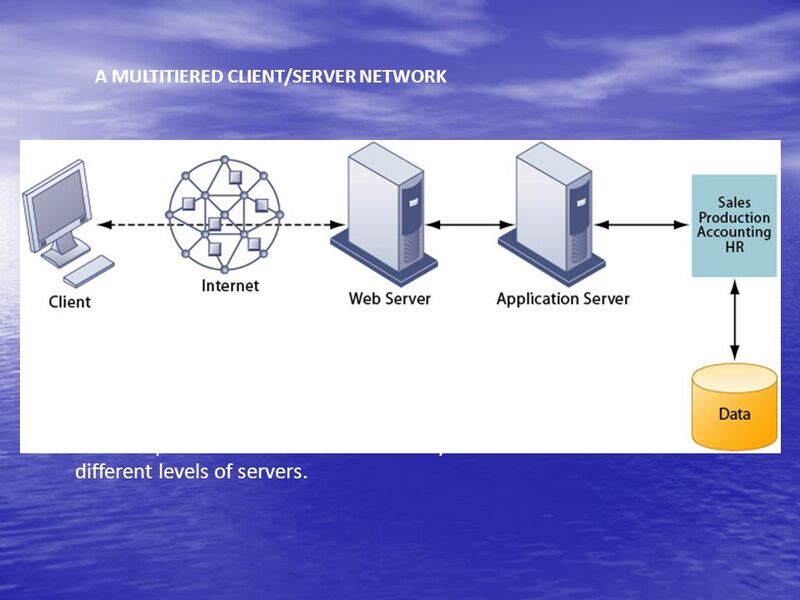 In a multitiered client/server network, client requests for service are handled by different levels of servers. 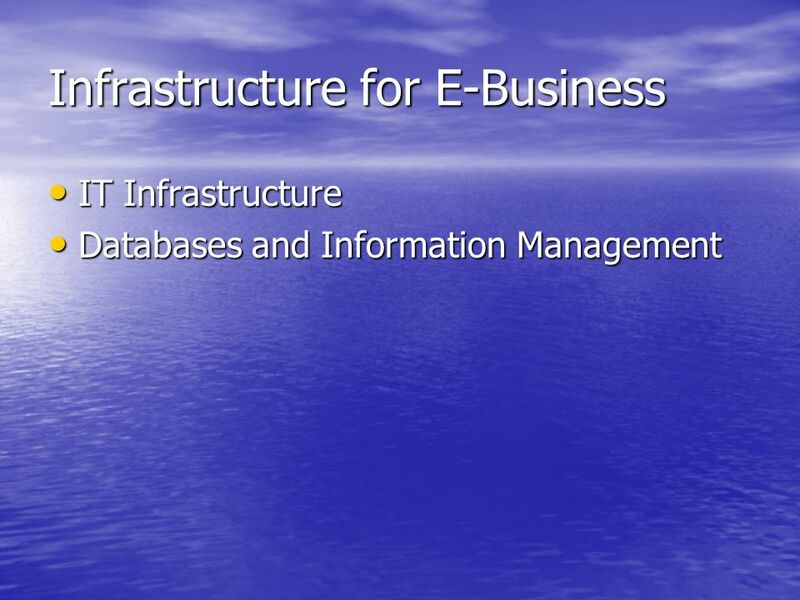 10 IT Infrastructure 5. 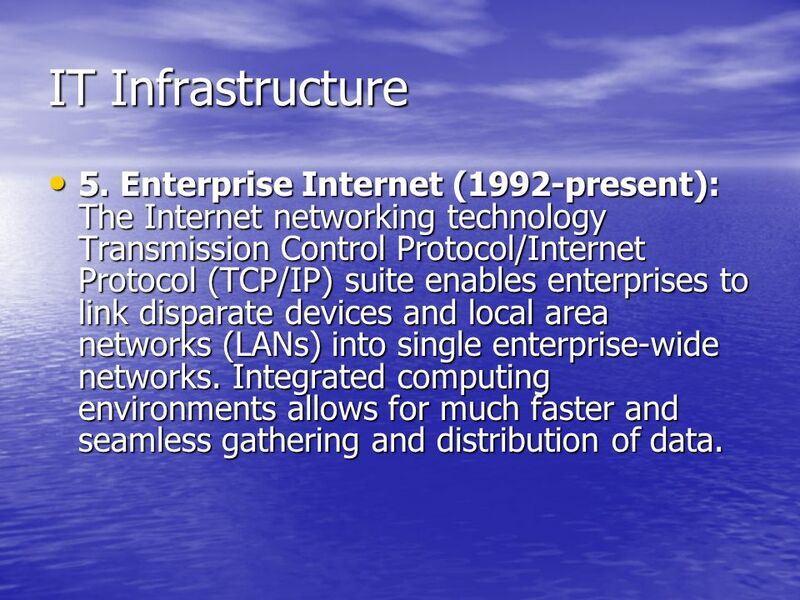 Enterprise Internet (1992-present): The Internet networking technology Transmission Control Protocol/Internet Protocol (TCP/IP) suite enables enterprises to link disparate devices and local area networks (LANs) into single enterprise-wide networks. Integrated computing environments allows for much faster and seamless gathering and distribution of data. 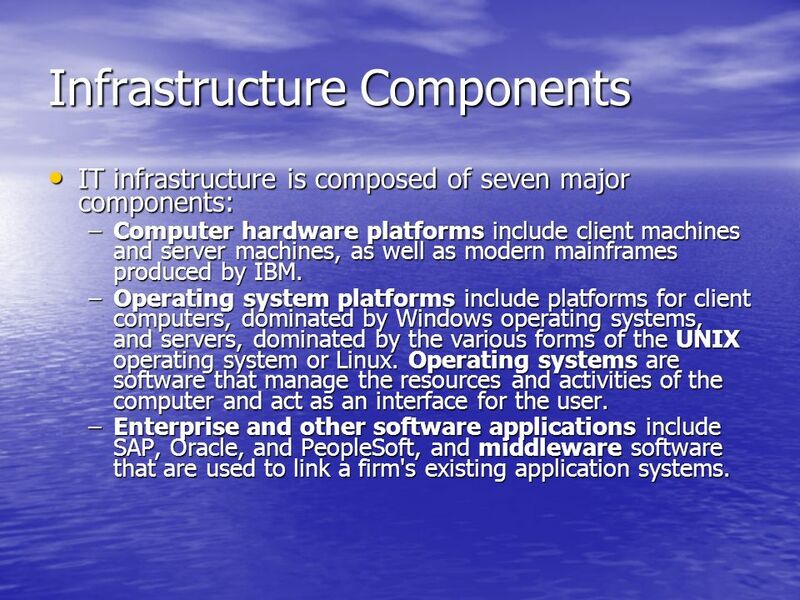 IT infrastructure is composed of seven major components: Computer hardware platforms include client machines and server machines, as well as modern mainframes produced by IBM. Operating system platforms include platforms for client computers, dominated by Windows operating systems, and servers, dominated by the various forms of the UNIX operating system or Linux. Operating systems are software that manage the resources and activities of the computer and act as an interface for the user. Enterprise and other software applications include SAP, Oracle, and PeopleSoft, and middleware software that are used to link a firm's existing application systems. Data management and storage is handled by database management software and storage devices include traditional storage methods, such as disk arrays and tape libraries, and newer network-based storage technologies such as storage area networks (SANs). SANs connect multiple storage devices on dedicated high-speed networks. 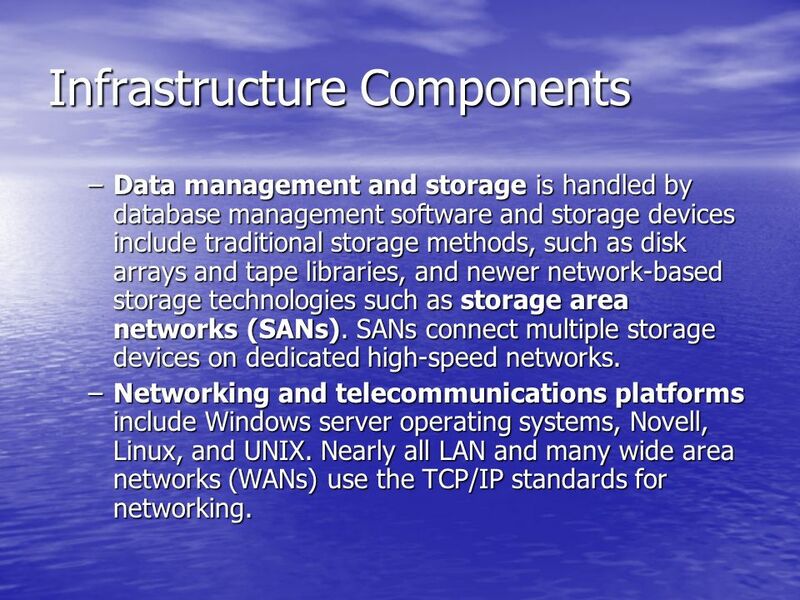 Networking and telecommunications platforms include Windows server operating systems, Novell, Linux, and UNIX. Nearly all LAN and many wide area networks (WANs) use the TCP/IP standards for networking. 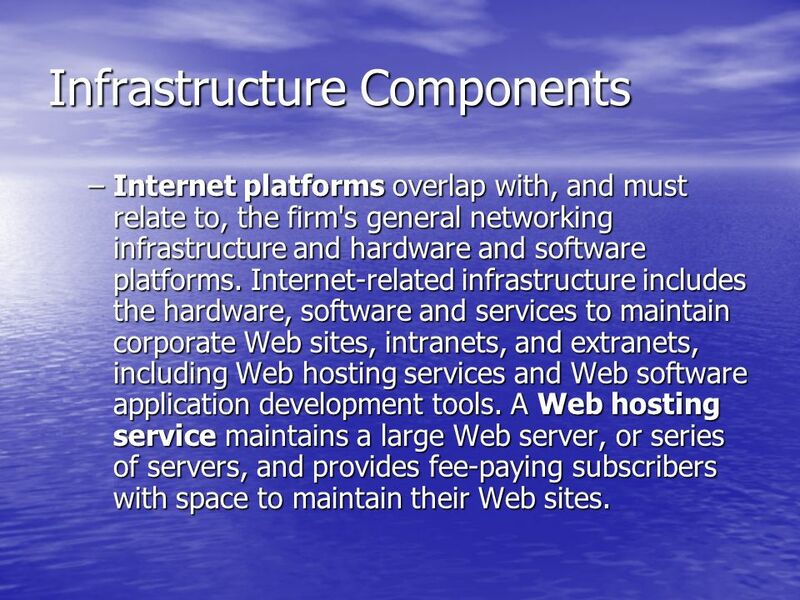 Internet platforms overlap with, and must relate to, the firm's general networking infrastructure and hardware and software platforms. 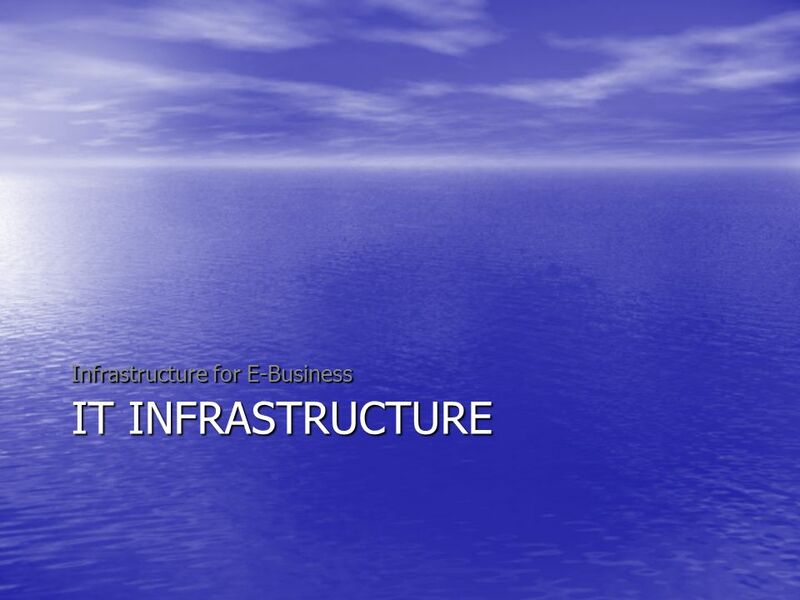 Internet-related infrastructure includes the hardware, software and services to maintain corporate Web sites, intranets, and extranets, including Web hosting services and Web software application development tools. A Web hosting service maintains a large Web server, or series of servers, and provides fee-paying subscribers with space to maintain their Web sites. 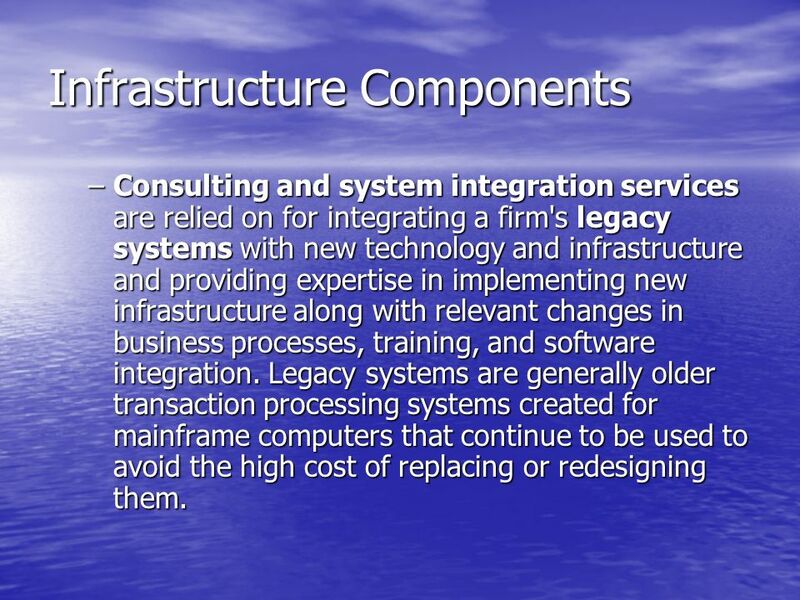 Consulting and system integration services are relied on for integrating a firm's legacy systems with new technology and infrastructure and providing expertise in implementing new infrastructure along with relevant changes in business processes, training, and software integration. Legacy systems are generally older transaction processing systems created for mainframe computers that continue to be used to avoid the high cost of replacing or redesigning them. There are several features or characteristics of information technology today that act as drivers toward the expansion and further development of technology. 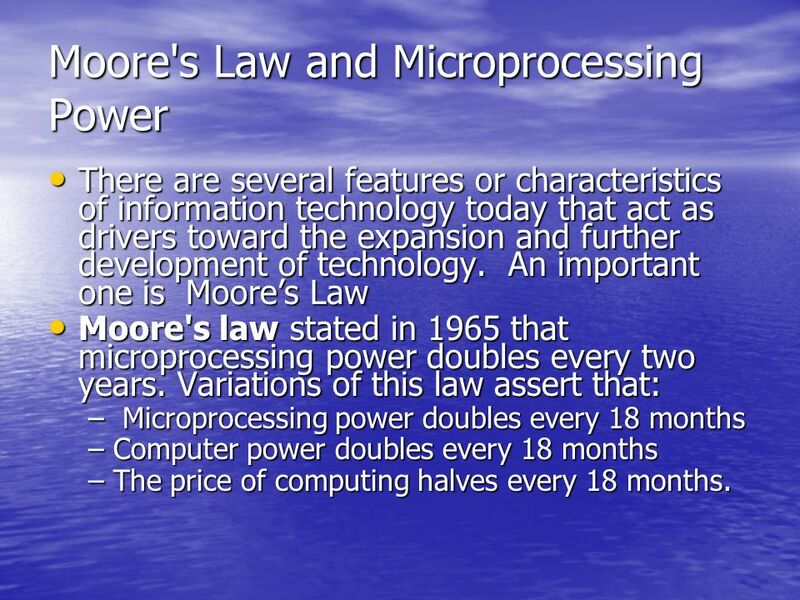 An important one is Moore’s Law Moore's law stated in 1965 that microprocessing power doubles every two years. Variations of this law assert that: Microprocessing power doubles every 18 months Computer power doubles every 18 months The price of computing halves every 18 months. 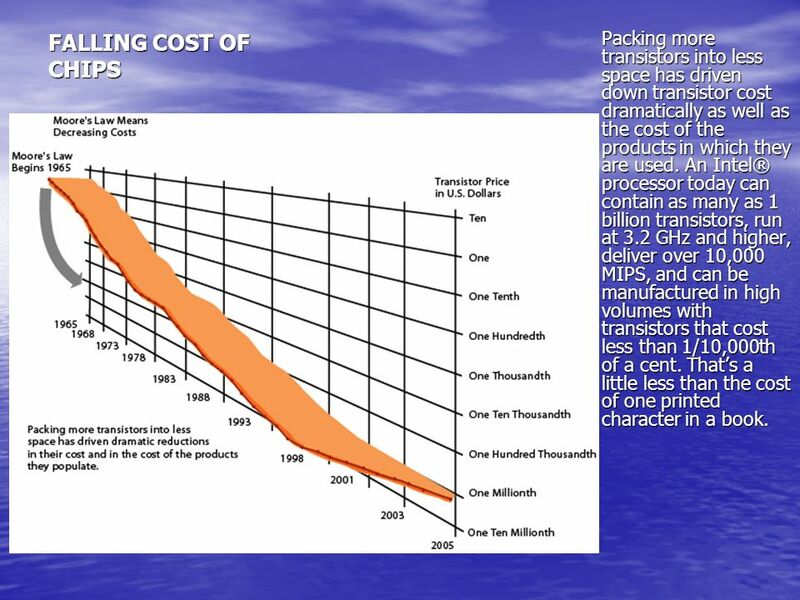 17 FALLING COST OF CHIPS Packing more transistors into less space has driven down transistor cost dramatically as well as the cost of the products in which they are used. An Intel® processor today can contain as many as 1 billion transistors, run at 3.2 GHz and higher, deliver over 10,000 MIPS, and can be manufactured in high volumes with transistors that cost less than 1/10,000th of a cent. That’s a little less than the cost of one printed character in a book. 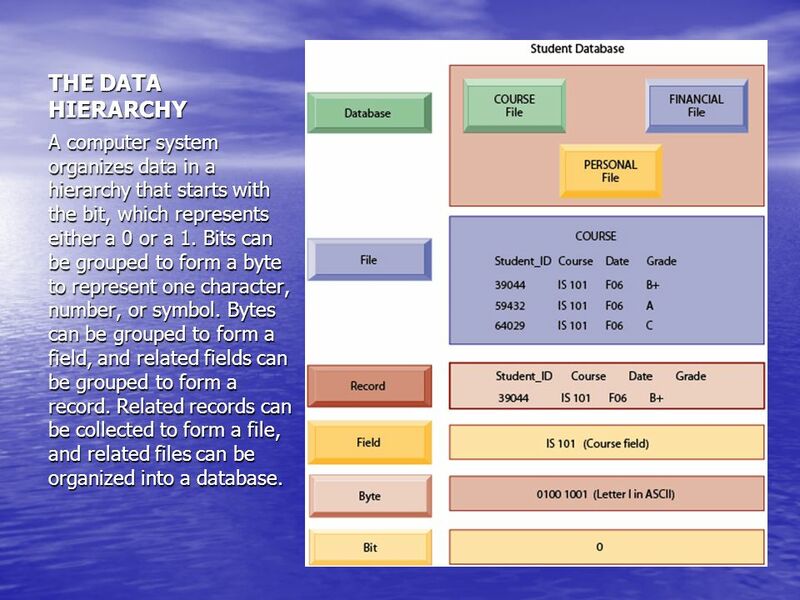 20 THE DATA HIERARCHY A computer system organizes data in a hierarchy that starts with the bit, which represents either a 0 or a 1. Bits can be grouped to form a byte to represent one character, number, or symbol. 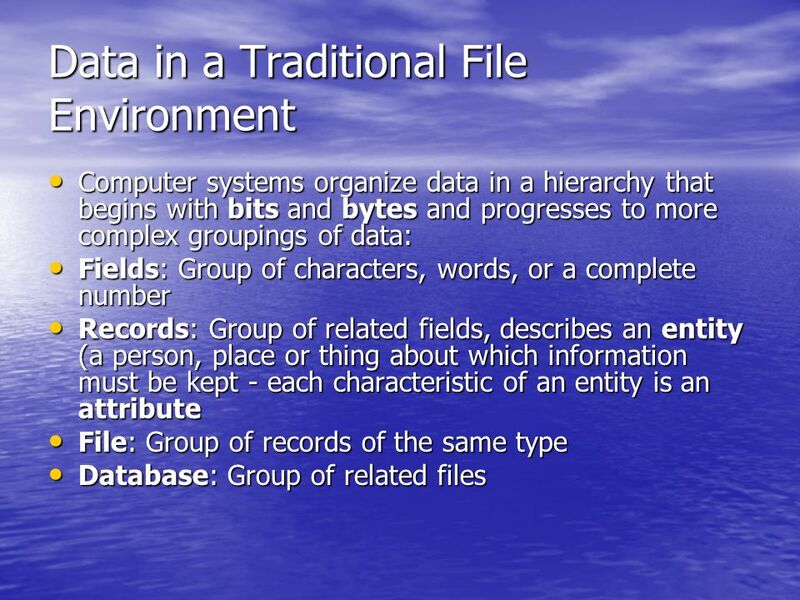 Bytes can be grouped to form a field, and related fields can be grouped to form a record. Related records can be collected to form a file, and related files can be organized into a database. In most organizations, the traditional approach to information processing meant that databases and other systems tended to grow independently without a company-wide plan. 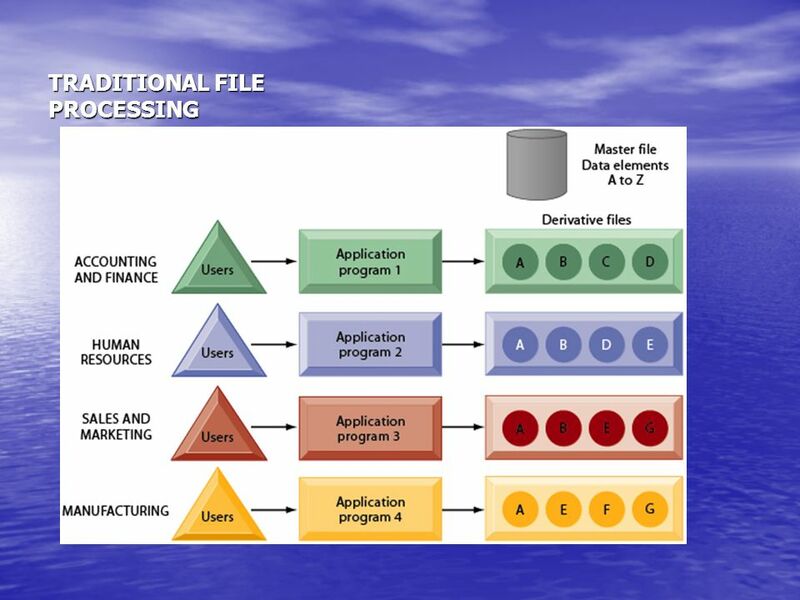 Accounting, finance, manufacturing, human resources, and sales and marketing all developed their own systems and data files. 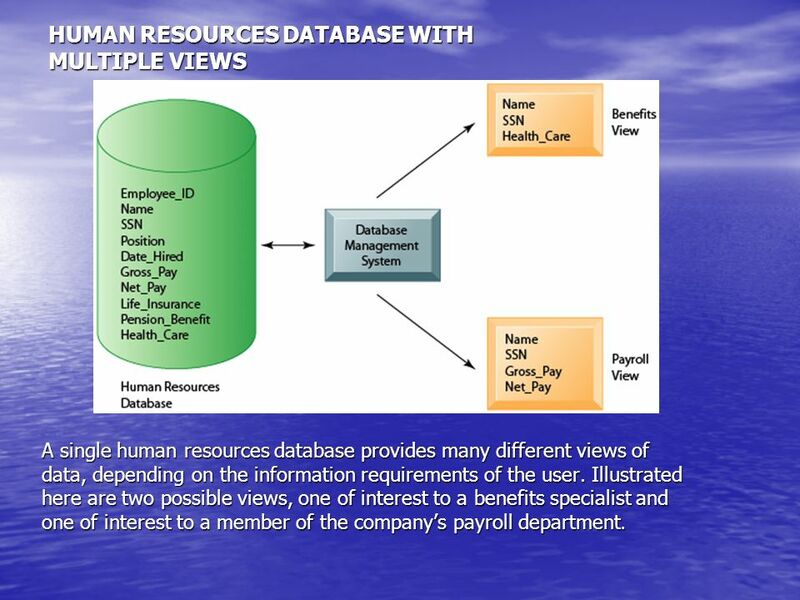 A single human resources database provides many different views of data, depending on the information requirements of the user. Illustrated here are two possible views, one of interest to a benefits specialist and one of interest to a member of the company’s payroll department. 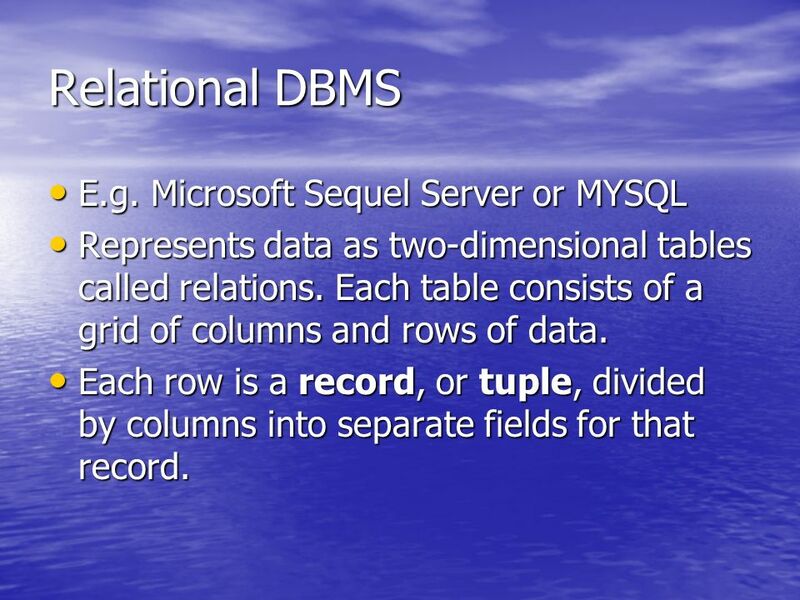 Represents data as two-dimensional tables called relations. Each table consists of a grid of columns and rows of data. Each row is a record, or tuple, divided by columns into separate fields for that record. 27 Relational DBMS One column in each table acts as a primary key, defining for each record a key field that is used to uniquely identify each record. 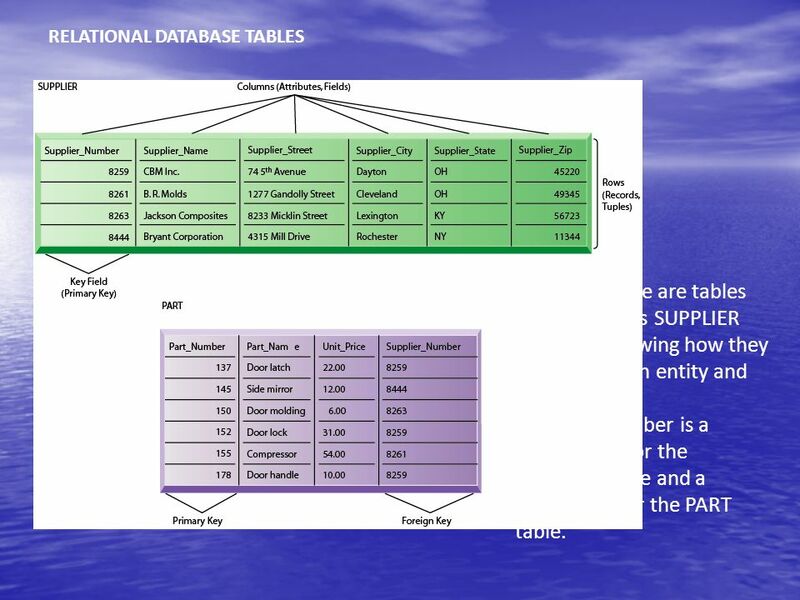 Relational databases use primary keys to connect records from one table to other tables. 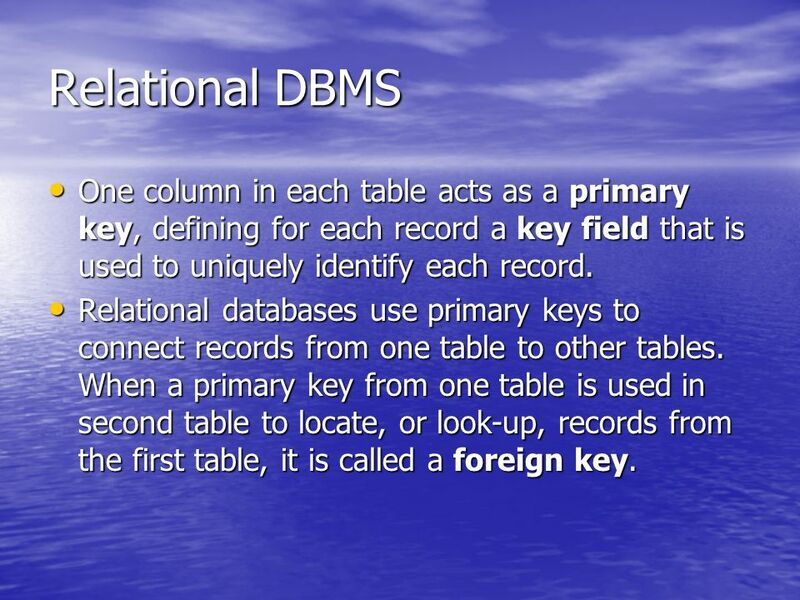 When a primary key from one table is used in second table to locate, or look-up, records from the first table, it is called a foreign key. Illustrated here are tables for the entities SUPPLIER and PART showing how they represent each entity and its attributes. Supplier_Number is a primary key for the SUPPLIER table and a foreign key for the PART table. The select, project, and join operations enable data from two different tables to be combined and only selected attributes to be displayed. 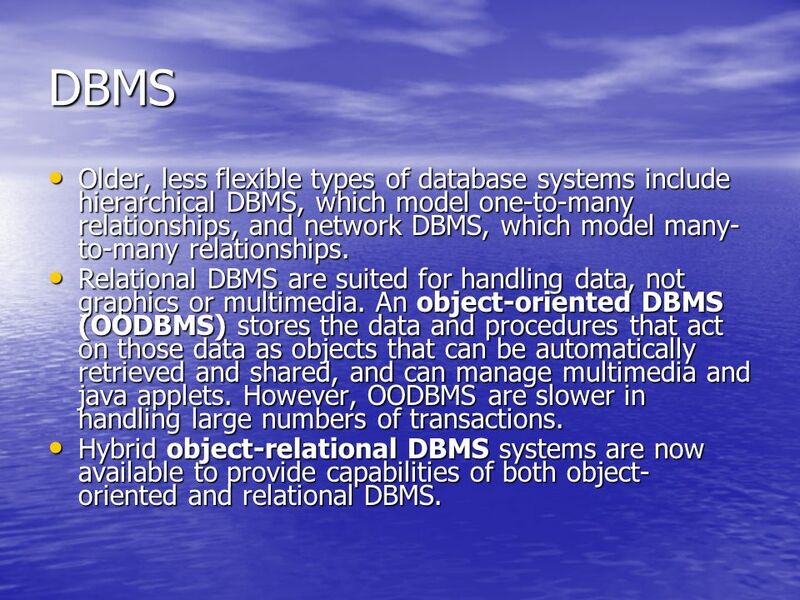 31 DBMS Older, less flexible types of database systems include hierarchical DBMS, which model one-to-many relationships, and network DBMS, which model many-to-many relationships. 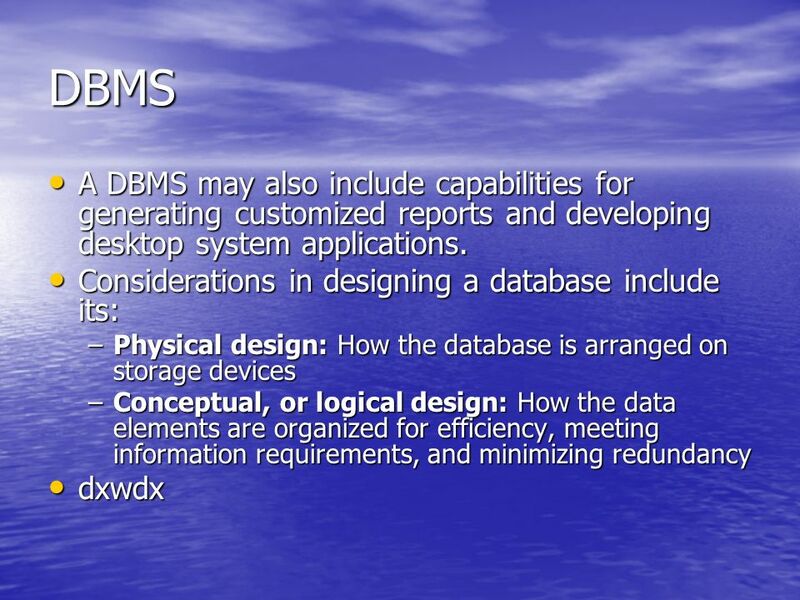 Relational DBMS are suited for handling data, not graphics or multimedia. 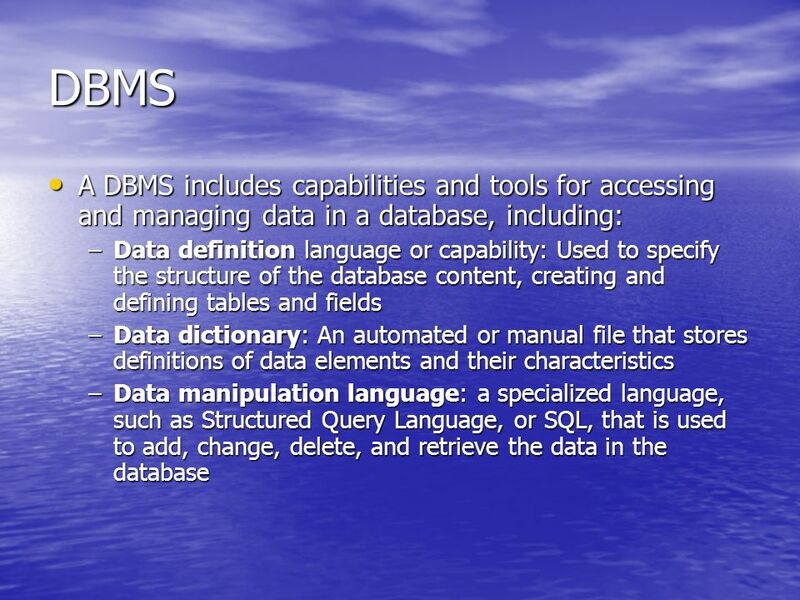 An object-oriented DBMS (OODBMS) stores the data and procedures that act on those data as objects that can be automatically retrieved and shared, and can manage multimedia and java applets. However, OODBMS are slower in handling large numbers of transactions. 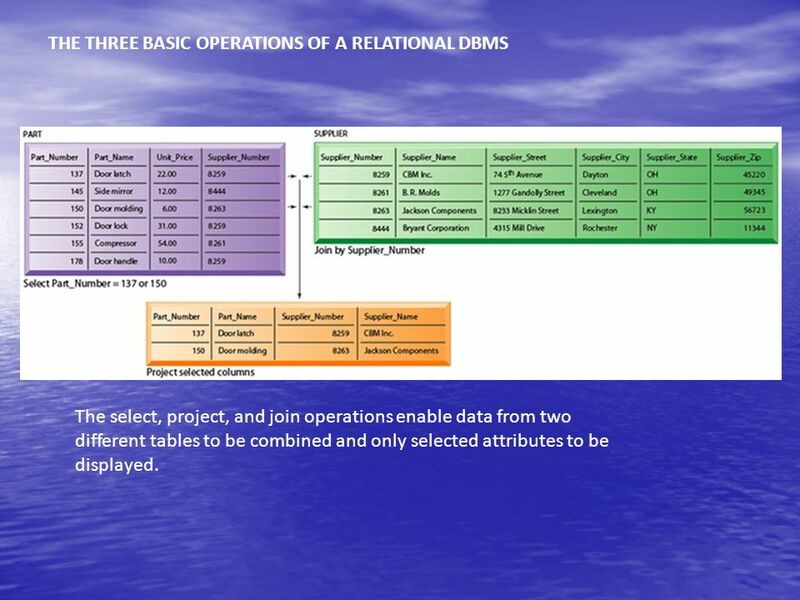 Hybrid object-relational DBMS systems are now available to provide capabilities of both object-oriented and relational DBMS. 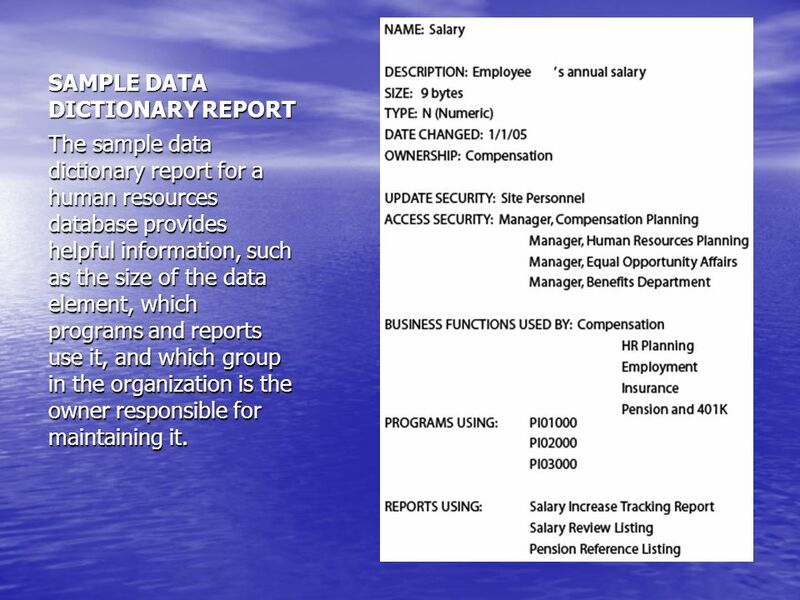 The sample data dictionary report for a human resources database provides helpful information, such as the size of the data element, which programs and reports use it, and which group in the organization is the owner responsible for maintaining it. 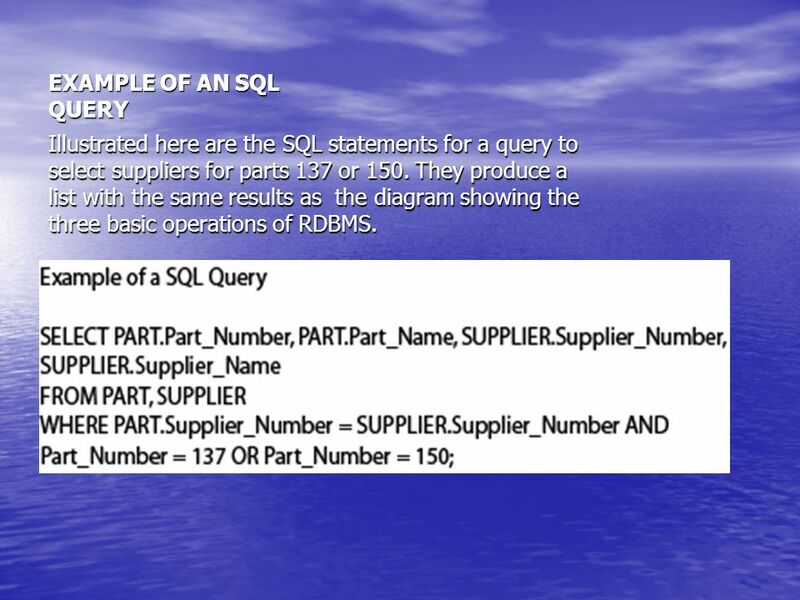 34 EXAMPLE OF AN SQL QUERY Illustrated here are the SQL statements for a query to select suppliers for parts 137 or 150. 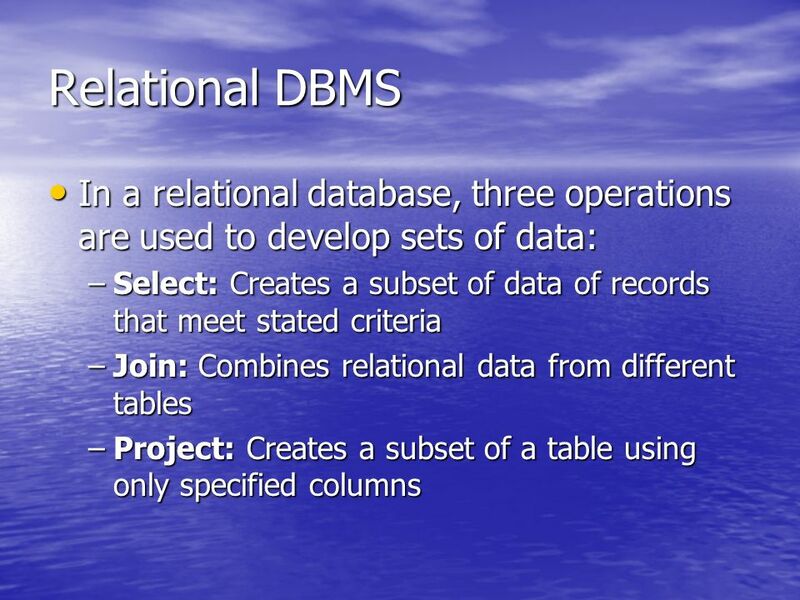 They produce a list with the same results as the diagram showing the three basic operations of RDBMS. 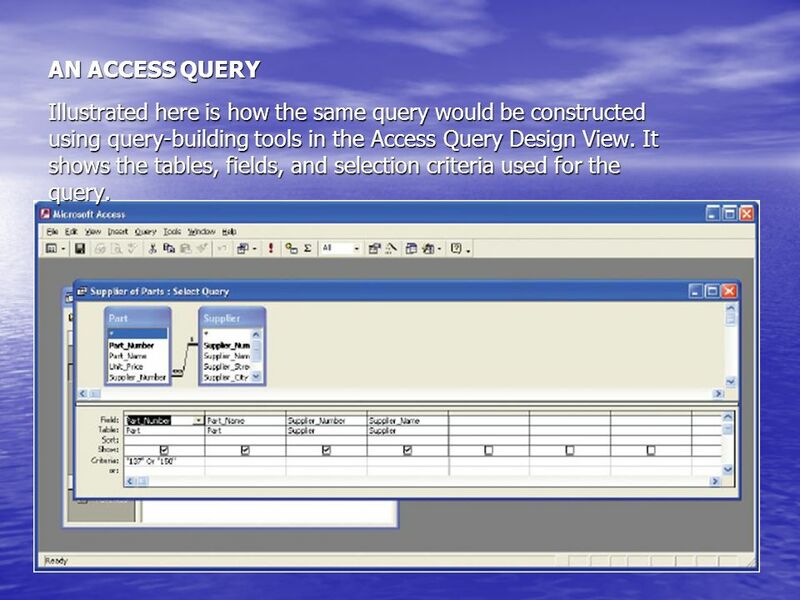 35 AN ACCESS QUERY Illustrated here is how the same query would be constructed using query-building tools in the Access Query Design View. 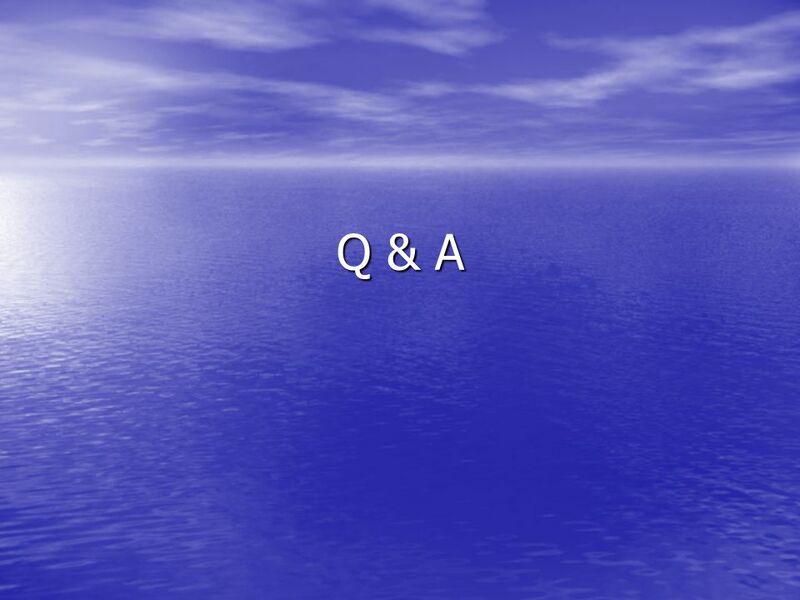 It shows the tables, fields, and selection criteria used for the query. 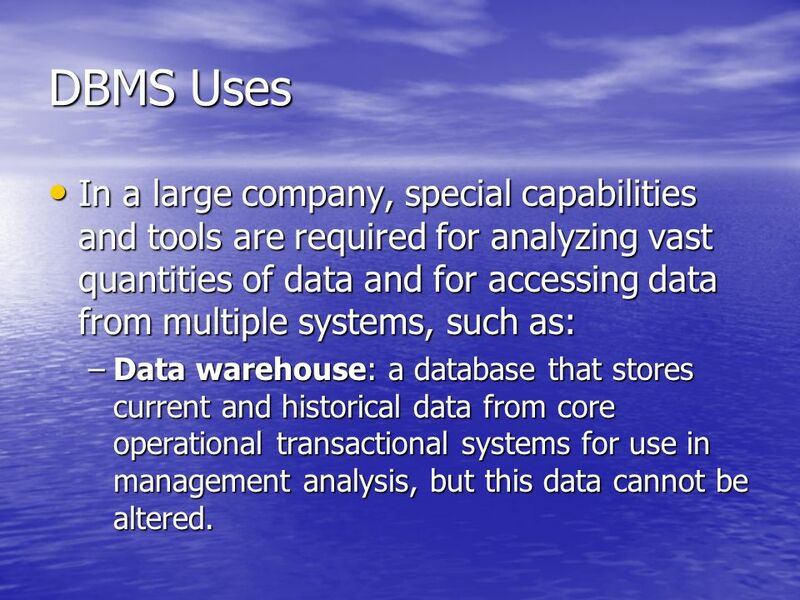 38 DBMS Uses In a large company, special capabilities and tools are required for analyzing vast quantities of data and for accessing data from multiple systems, such as: Data warehouse: a database that stores current and historical data from core operational transactional systems for use in management analysis, but this data cannot be altered. 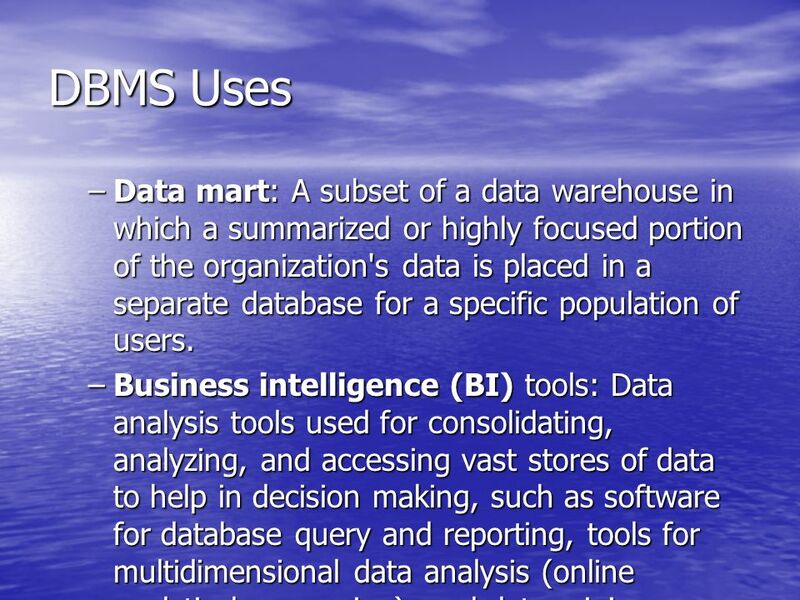 39 DBMS Uses Data mart: A subset of a data warehouse in which a summarized or highly focused portion of the organization's data is placed in a separate database for a specific population of users. 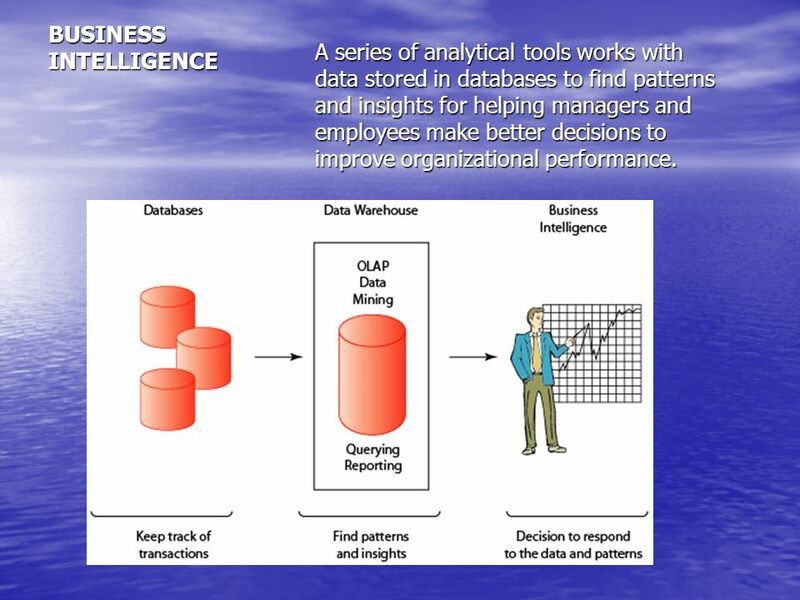 Business intelligence (BI) tools: Data analysis tools used for consolidating, analyzing, and accessing vast stores of data to help in decision making, such as software for database query and reporting, tools for multidimensional data analysis (online analytical processing), and data mining. 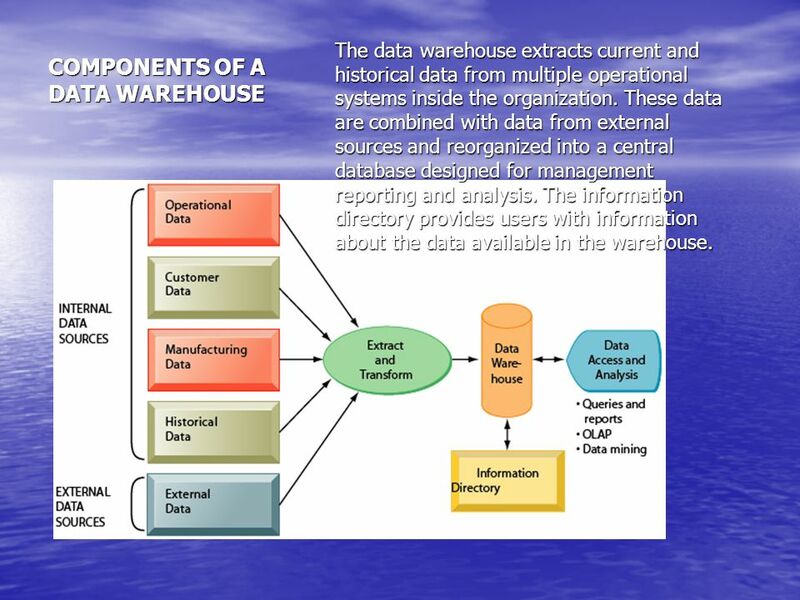 The data warehouse extracts current and historical data from multiple operational systems inside the organization. These data are combined with data from external sources and reorganized into a central database designed for management reporting and analysis. The information directory provides users with information about the data available in the warehouse. A series of analytical tools works with data stored in databases to find patterns and insights for helping managers and employees make better decisions to improve organizational performance. 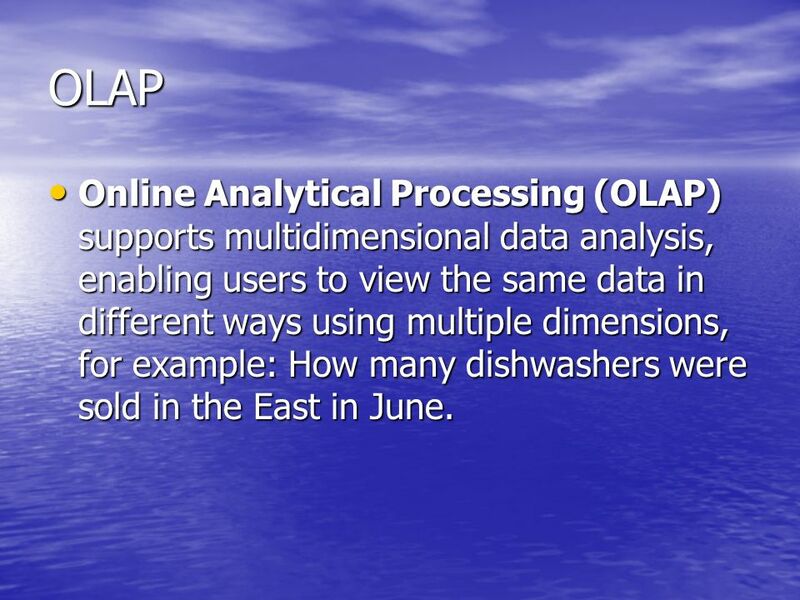 42 OLAP Online Analytical Processing (OLAP) supports multidimensional data analysis, enabling users to view the same data in different ways using multiple dimensions, for example: How many dishwashers were sold in the East in June. The view that is showing is product versus region. If you rotate the cube 90 degrees, the face that will show is product versus actual and projected sales. 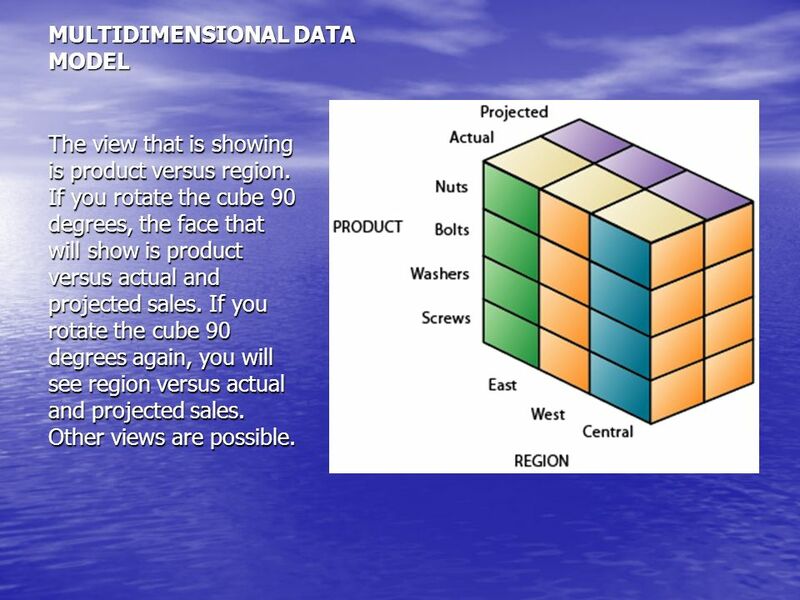 If you rotate the cube 90 degrees again, you will see region versus actual and projected sales. Other views are possible. 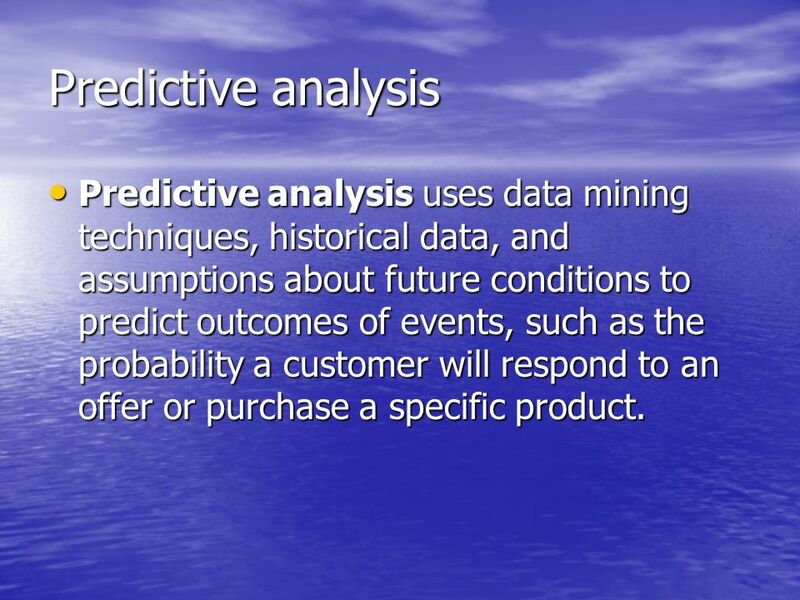 45 Predictive analysis Predictive analysis uses data mining techniques, historical data, and assumptions about future conditions to predict outcomes of events, such as the probability a customer will respond to an offer or purchase a specific product. An information policy specifies the organization's rules for sharing, disseminating, acquiring, standardizing, classifying, and inventorying information, and includes procedures and accountabilities and roles. Data administration is responsible for the specific policies and procedures through which data can be managed as an organizational resource. Responsibilities include developing information policy, planning for data, overseeing logical database design and data dictionary development, and monitoring how information systems specialists and end-user groups use data. 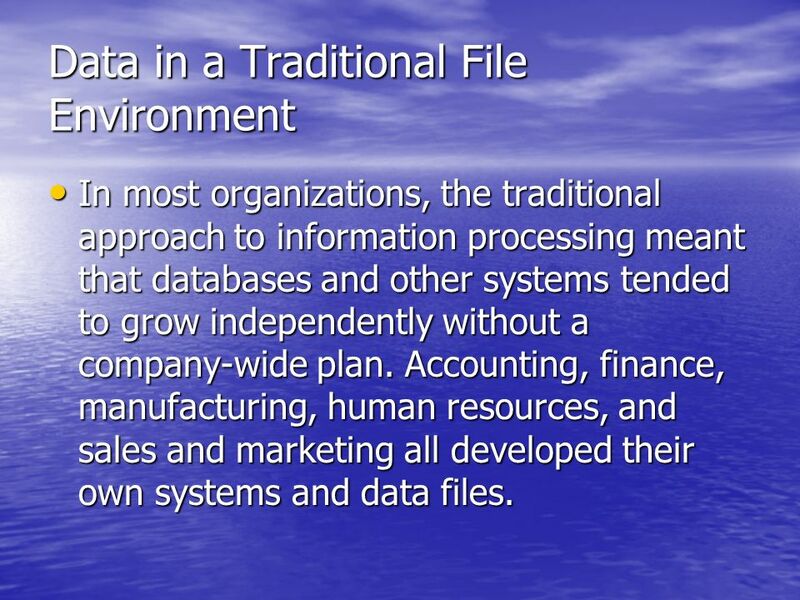 Large organizations often require a formal data administration function. Data governance deals with the policies and processes for managing the availability, usability, integrity, and security of the data employed in an enterprise, with special emphasis on promoting privacy, security, data quality, and compliance with government regulations. A large organization will also have a database design and management group that is responsible for defining and organizing the structure and content of the database, and maintaining the database. 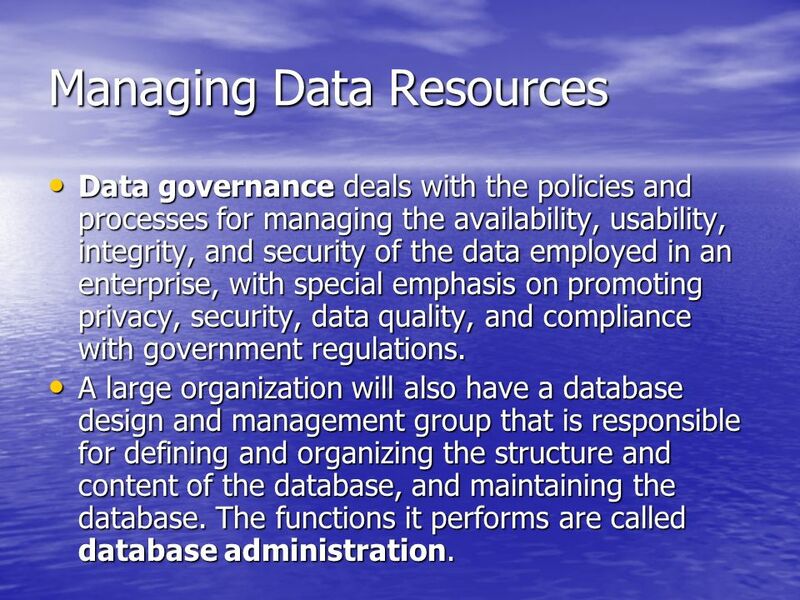 The functions it performs are called database administration. In managing data, steps must be taken to ensure that the data in organizational databases are accurate and remain reliable. Data that are inaccurate, untimely, or inconsistent with other sources of information lead to incorrect decisions, product recalls, and even financial losses. A good database design also includes efforts to maximize data quality and eliminate error. 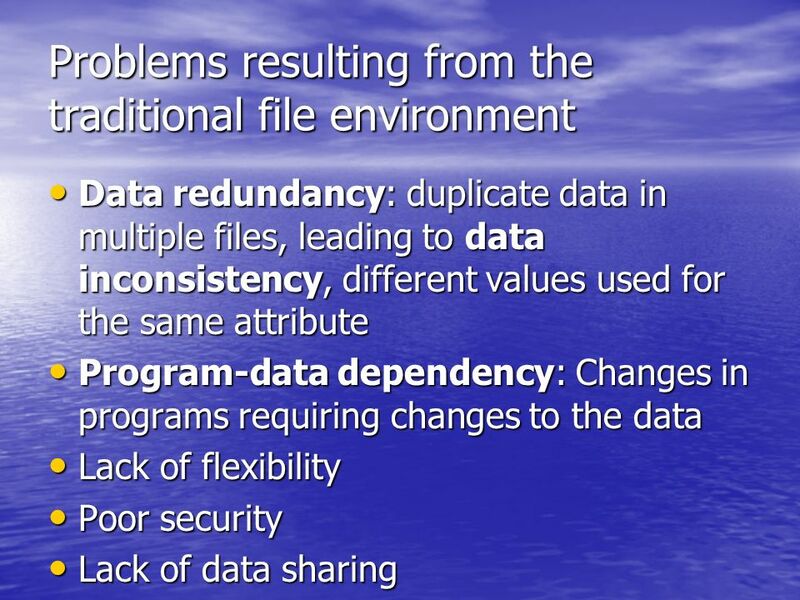 Some data quality problems result from redundant and inconsistent data, but most stem from errors in data input. 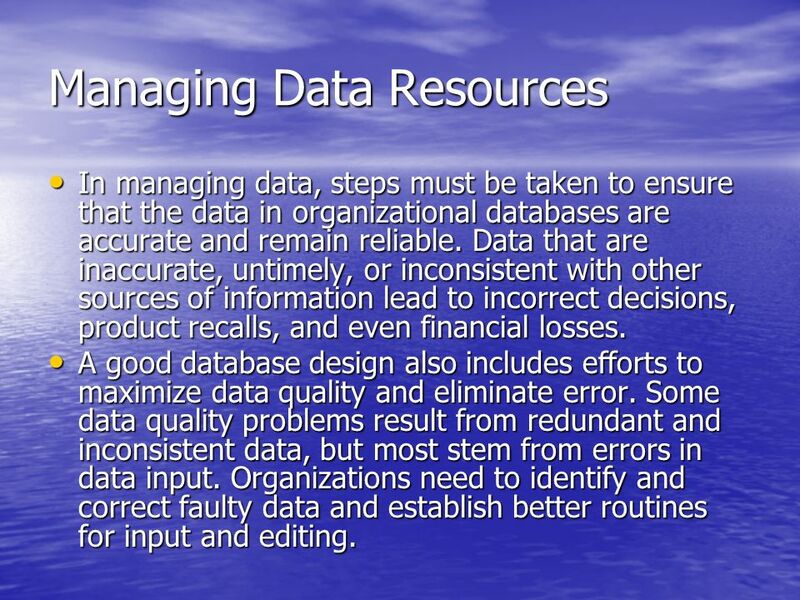 Organizations need to identify and correct faulty data and establish better routines for input and editing. A data quality audit can be performed by surveying entire data files, sample data, and surveying end-users impressions of data quality. Data cleansing (or data scrubbing) techniques can be used to correct data and enforce consistency among different sets of data. Download ppt "Infrastructure for E-Business"
Prepare Book Review The Game! By: Michael Crain, MSIM Chapter 6 Foundations of Business Intelligence Create Knowledge Remember Be a Winner The Game! 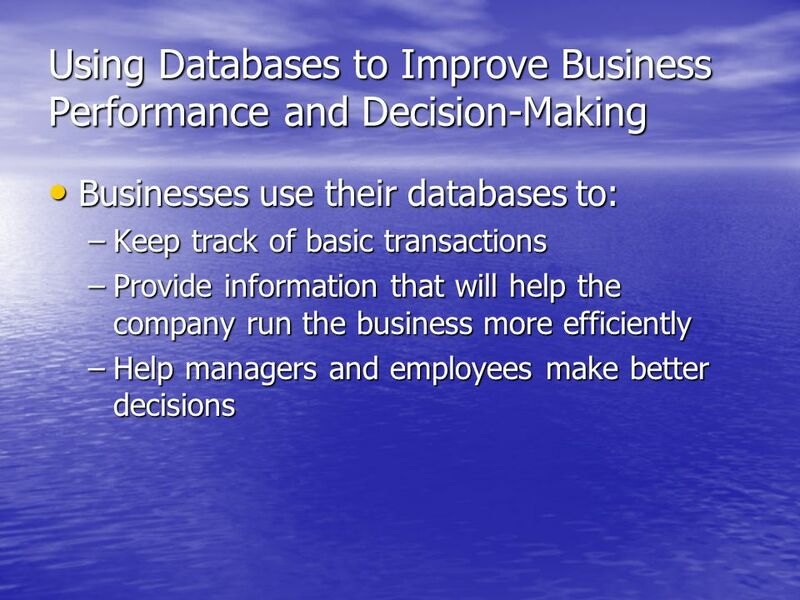 5.1 © 2007 by Prentice Hall 5 Chapter Foundations of Business Intelligence: Databases and Information Management. The database approach to data management provides significant advantages over the traditional file-based approach Define general data management concepts. 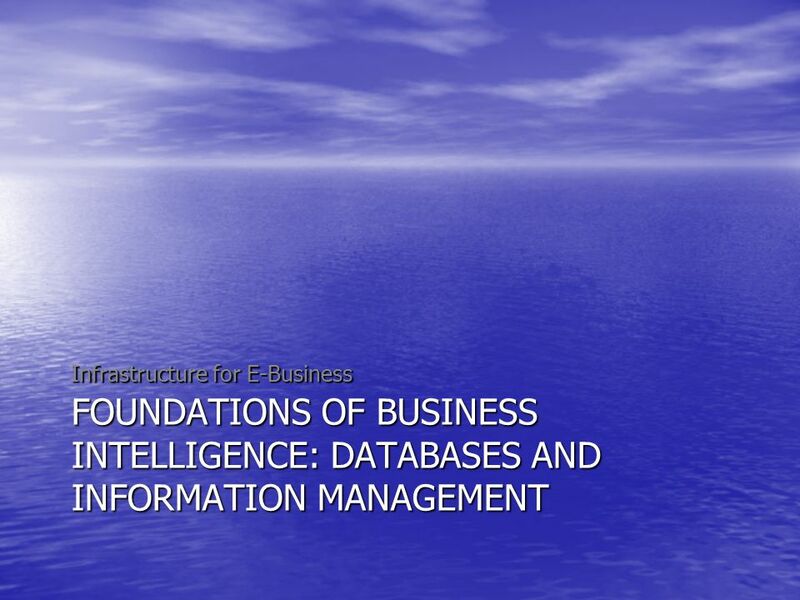 5.1 © 2009 by Prentice Hall 5 Chapter Foundations of Business Intelligence: Databases and Information Management. Database Management: Getting Data Together Chapter 14. 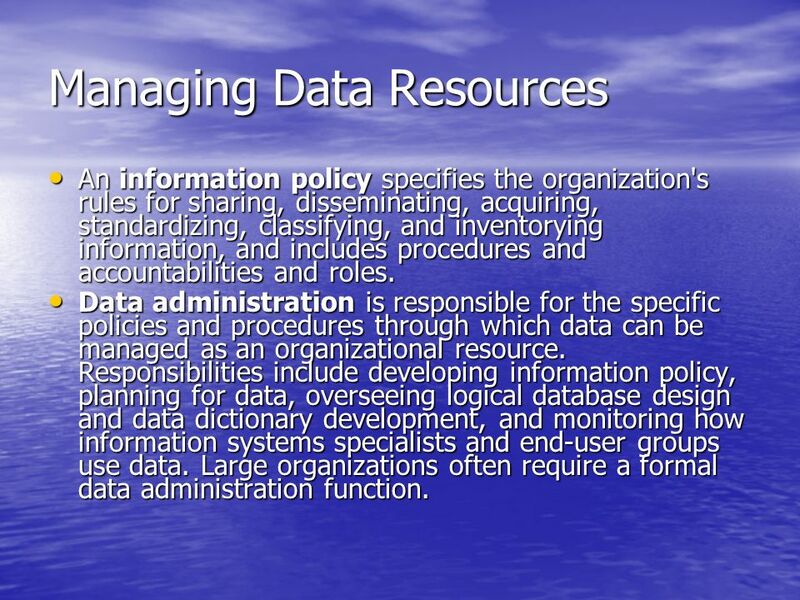 7.1 © 2006 by Prentice Hall 7 Chapter Managing Data Resources. Chapter 4: Database Management. 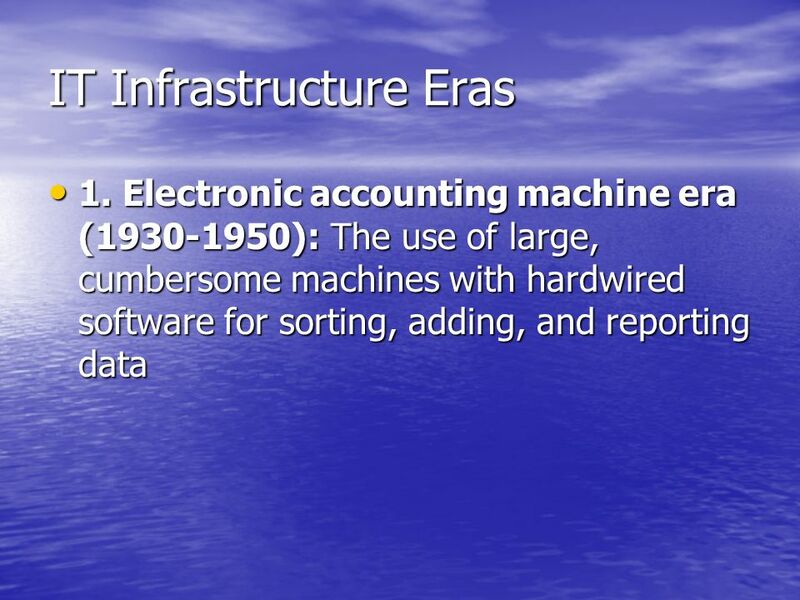 Databases Before the Use of Computers Data kept in books, ledgers, card files, folders, and file cabinets Long response. SESSION 7 MANAGING DATA DATARESOURCES. File Organization Terms and Concepts Field: Group of words or a complete number Record: Group of related fields. 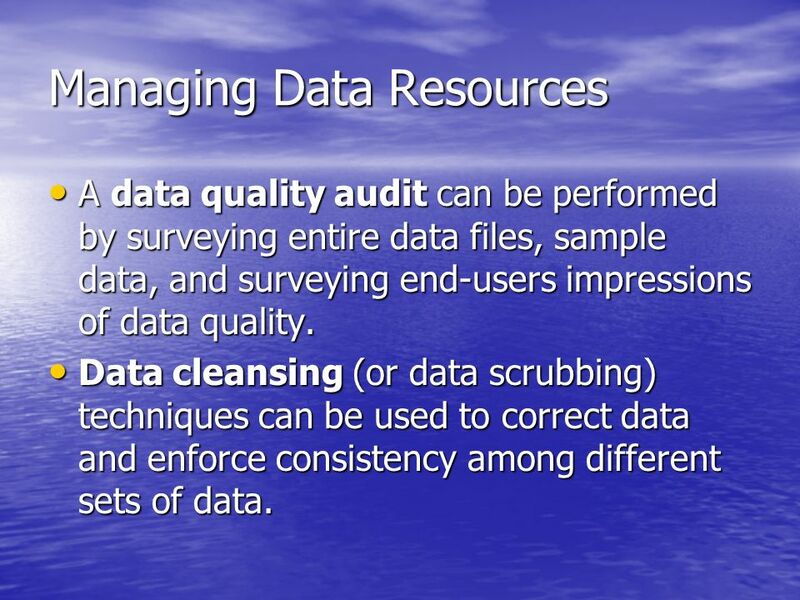 Managing Data Resources. File Organization Terms and Concepts Bit: Smallest unit of data; binary digit (0,1) Byte: Group of bits that represents a single. 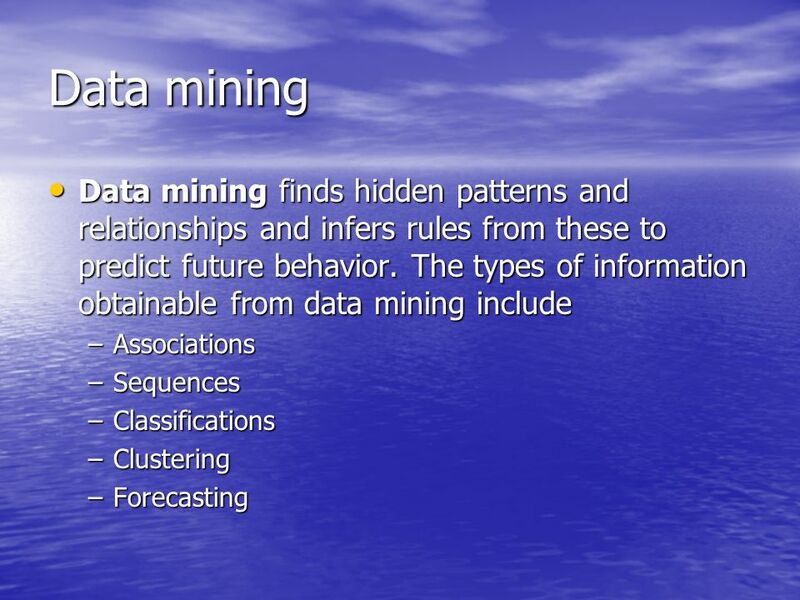 6.1 © 2010 by Prentice Hall 6 Chapter Foundations of Business Intelligence: Databases and Information Management. 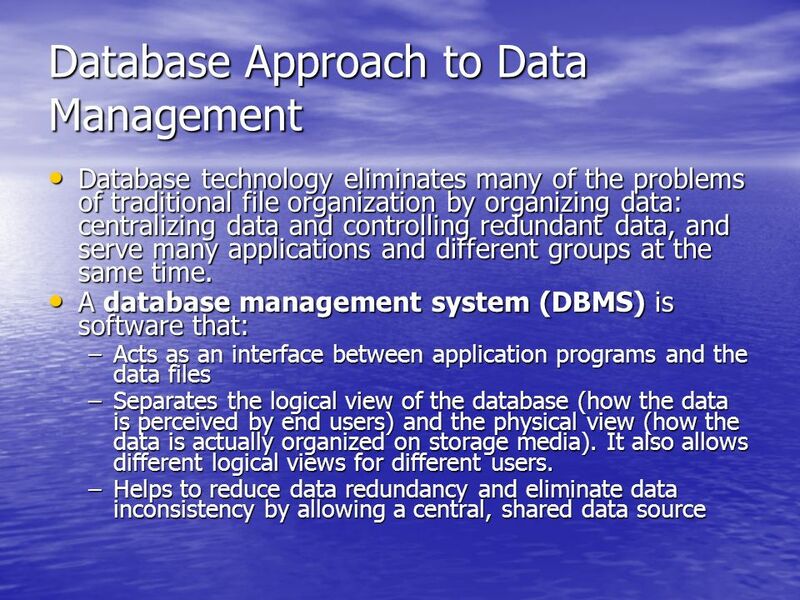 Database Management Last Update 2014.03.19 2.0.1 Copyright 2013-2014 Kenneth M. Chipps Ph.D. www.chipps.com 1.